Dr. William Liye Zhao, is the founder of the China Traditional Chinese Medicine Centre in Calgary, Alberta, and is licensed to practice Acupuncture and Chinese Herbal Medicine in the Province of Alberta. Dr. Zhao is a graduate of China’s top Medical University (Beijing Medical University) with extensive training in both Western (oncology) and Traditional Chinese Medicine (TCM). Dr. Zhao has over 30 years of academic and clinical experience in Canada and China in treating diabetes, high blood pressure, high cholesterol, overweight,chronic pain, depression, Infertility and cancer. Dr. Zhao’s PhD supervisor was Dr. Tu You You, who was awarded the 2015 Nobel prize in Medicine, for her work in using ancient Chinese texts to formulate ‘Aartemisinin’, a herbal malaria formula which has saved millions of lives in Asia. Because of his background in both western and TCM, Dr. Zhao is able to combine and incorporate the best of western and Chinese medical sciences in the development of his patented Herbal Products. Dr. Zhao has helped over ten thousand patients, since opening his clinics in Calgary in 1998, achieve health and wellness using TCM methods to treat various Difficult to Treat ailments such as chronic pain, high blood/high sugar levels, menopause conditions etc. 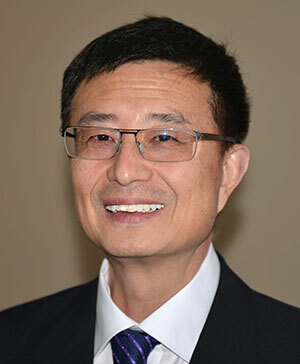 Dr. Zhao was a member of Alberta’s Acupuncture Society and continues to advise the Alberta Government on various acupuncture regulatory and licensing policies. He frequently lectures to professional and patient groups across Canada and China on the complementary and beneficial aspects of Chinese Traditional Medicine. View Dr. Zhao’s presentation to the Prostate Cancer Canada Network below. View Dr. Zhao’s presentation about TCM helps Diabetes below.